Since March 2010, Canplast has been distributing Saint Dizier environnement products in Switzerland. 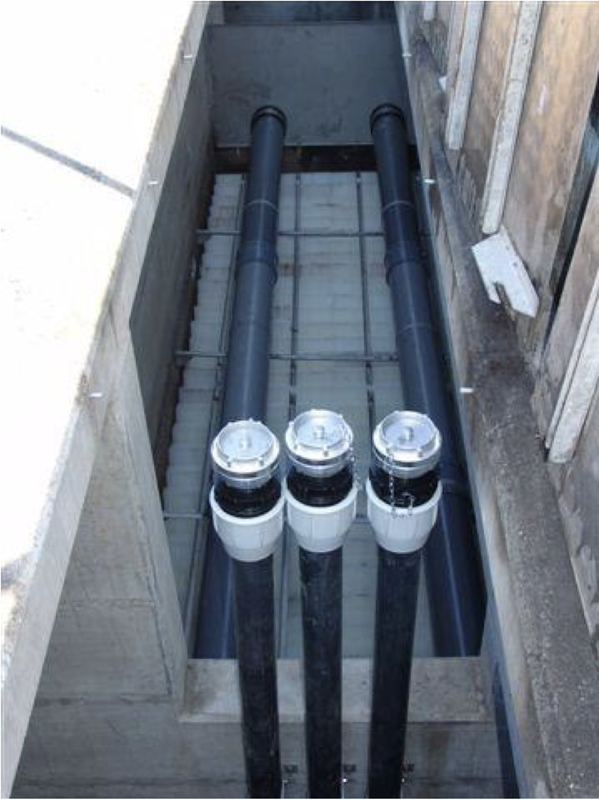 With more than 40 years of experience, Saint Dizier environnement, is a leader in the design and supply of turnkey structures for road, urban and industrial rainwater treatment, as well as hydraulic control structure. Stormwater treatment system meeting the increased requirements for stormwater treatment in Switzerland (Federal Ordinance on Water Protection (OEaux) and VSA Directive "Evacuation of rainwater"). Saint Dizier environnement has been present in Switzerland for more than 20 years and has several reference achievements for the treatment of surface water, with treatment rates up to 1'000 l/s (e.g. Geneva International Airport, A9 motorway - State of Valais). 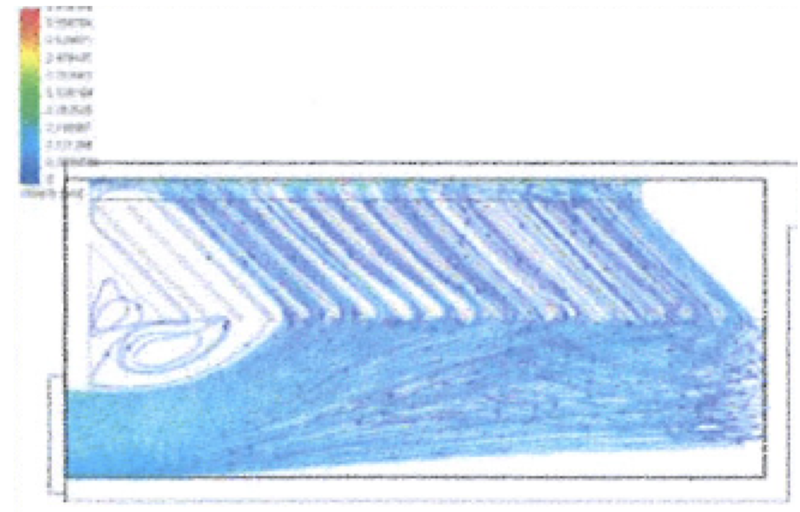 Improved performance of settling basins in civil engineering with optimised lamellar settling. The Saint Dizier environnement company installed runoff settling basins on the A9 motorway in Switzerland in 2011. The work consisted in sizing and making improvements to the existing settling structures, in order to improve their purification performance by the implementation of alveolar settling structures. A fall rate of less than 3 m / h was chosen for the design. Nearly two years after this work, an evaluation of the performances of two structures was carried out: Sablons, and Ile d'Epine. A particle size analysis revealed the efficiency of lamellar settling: 50% of the particles have a diameter of less than 19.2 μm. The sludge was loaded with hydrocarbons and pollutants (PAH, heavy metals). The audit-sizing and design-basin layout methodology is reproducible for all structures, both in construction and rehabilitation. Eleven roadway water treatment works on the A9 motorway upstream of infiltration basins no longer met the requirements for water protection. Saint Dizier environnement was therefore mandated in 2010 by the client to audit the structures in place in order to carry out a technical proposal to improve purification performance. The A9 motorway crosses the southwestern quarter of Switzerland, between France and the Simplon Pass. The sections concerned are located near Saint Maurice and Evionnaz. The average daily traffic in this zone was 37,300 vehicles in 2014 according to the Federal Office of Roads (FEDRO). This article focuses on the Ile d'Epine and Sablons basins. The Ile d’Epine basin treats runoff from the motorway at kilometre 61.74 and has an area of 1.5 ha. Road water is collected by gutters along the road and then channelled to the treatment plant. The Les Sablons basin, located at kilometre 65.95, treats stormwater from a surface of 4.5 ha. Rainwater is discharged from the roadway to ditches (retention-filtration ditches) along the road, allowing the infiltration of water and its drainage to a collection pipe that conveys the water to the treatment structure. Target abatement on suspended solids > 95% of particles with a diameter greater than 100 μm. 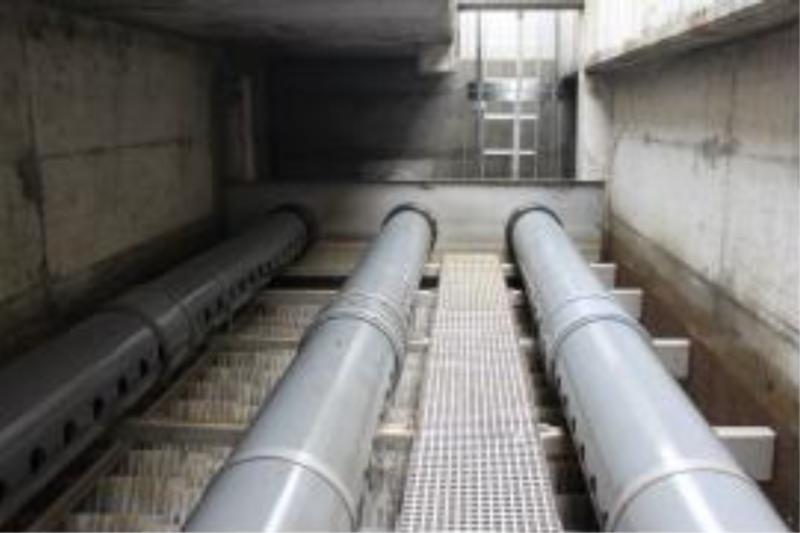 consistent sludge retention, with respect to optimal utilisation of the structure: silo for sludge storage integrated in the treatment plant, regular flushing by hydrocleaning, with autonomy longer than one year. installing channels for recovery of decanted water. sludge resulting from the decantation of the SS (suspended matter). The Ile d'Epine plenum chamber had about 40 cm of coarse and relatively solid sludge and waste. Upstream of Les Sablons basin, there is a retention-filtration channel which ensures the first decantation of the effluents. 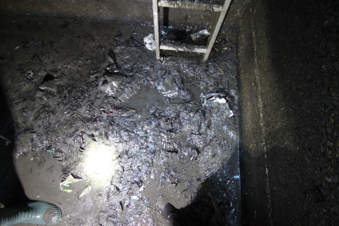 Very little sludge was in the plenum chamber of Les Sablons basin. It had a finer aspect, liquid and fairly homogeneous for the entire basin. The sludge observed and measured under the cells is mainly related to fine particles. The largest particles are in fact retained upstream of the lamellar blocks (networks, ditches, plenum chamber (see Figure 2)). Table 5 expresses the annual flows of suspended solids for each of the watersheds, based on experimentally determined sludge volumes and measurements taken on the dryness and density of the sludge located in the plenum chambers and under the lamellar cells. The literature (CLT12) gives an average annual flow of SS per hectare of between 500 and 1,200 kg/ha/year, for road-type watersheds with high traffic. The results obtained for the Sablon Basin are lower than the values of the literature. The retention-filtration channel upstream of this basin retains an important part of the SS; the results obtained are therefore consistent with the literature. The results obtained for the Ile d'Epine basin are consistent with the average values of the literature. 90 % of the particles are less than 98.4 μm. The presence of such fine particles is explained by the retention of larger particles upstream of the lamellae in the plenum chamber. The trapping of the fine particles results from the low surface hydraulic load of the lamellar settling system. 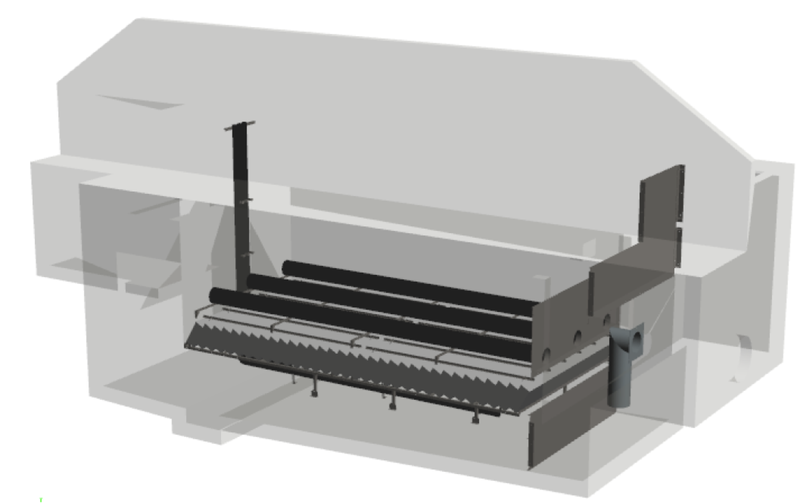 This hydraulic load is 2.1 m/h for a treatment flow of 267 l/s, but the great majority of the rain leads to lower flow rates, and therefore to much lower surface hydraulic loads, guaranteeing very good performance interception of suspended matter. 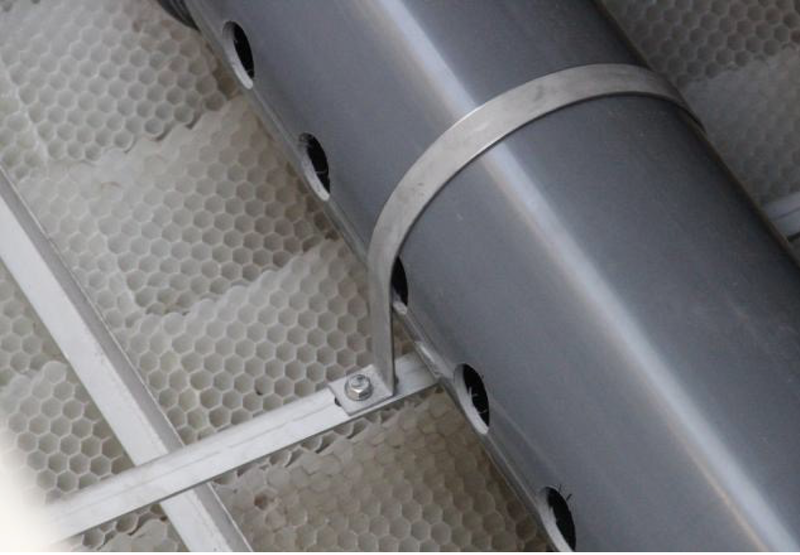 The level under cells is important, and also guarantees flow rates of the effluent between the sludge bed and the lower part of the cells without displacement previously trapped sludge. The sludge from the plenum chamber (Ile d'Epine) and the chambers beneath the lamellar honeycomb cells were also analysed; the results are shown in Table 6. There is a percentage of dry matter entering the basin of Ile d'Epine larger than at the output. This is because the larger particles settle earlier in the basin than the smaller ones, usually with lower dryness. There is also a much higher proportion of pollutants (COD, hydrocarbons, metals and PAH) retained per kilogram of dry matter in the lamellar settling chamber under the cells than in the plenum chamber. The explanation lies in the fixation of these substances on the smallest particles. Sludge from lamellar settling chambers is much more polluted in the Epine Island watershed than Sablons, with COD and hydrocarbon concentrations 3-4 times higher and up to 30 times higher for PAH, without any real explanation, except perhaps for larger amounts of hydrocarbons. The basins along the motorway are easily accessible with a possible parking near the settling systems for a hydrocleaning machine. The water under the surface of the basins is pumped and discharged to the natural environment. The analyses carried out demonstrate the good quality of this settled water (see Table 7). 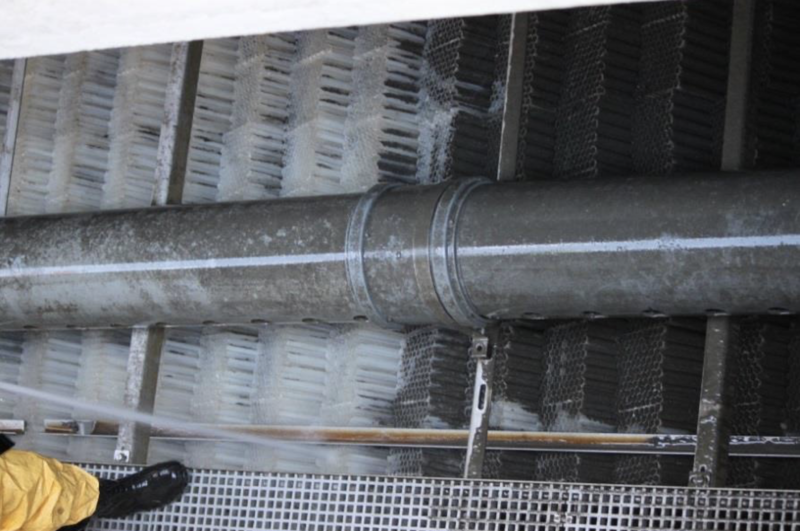 The sludge is sucked by an emptying truck, then the lamellar cells are cleaned by a high-pressure lance (see Figure 4). The duration of this intervention per basin is approximately two hours, or about half a day per basin with the emptying and the re-filling with clear water. The maintenance operations of these structures equipped with honeycomb lamellar cells have been carried out under very good conditions, with remarkable efficiency for the cleaning of the settling cells and a duration of intervention deemed effective by the actors present during these operations, considering the dimensions of the structures. 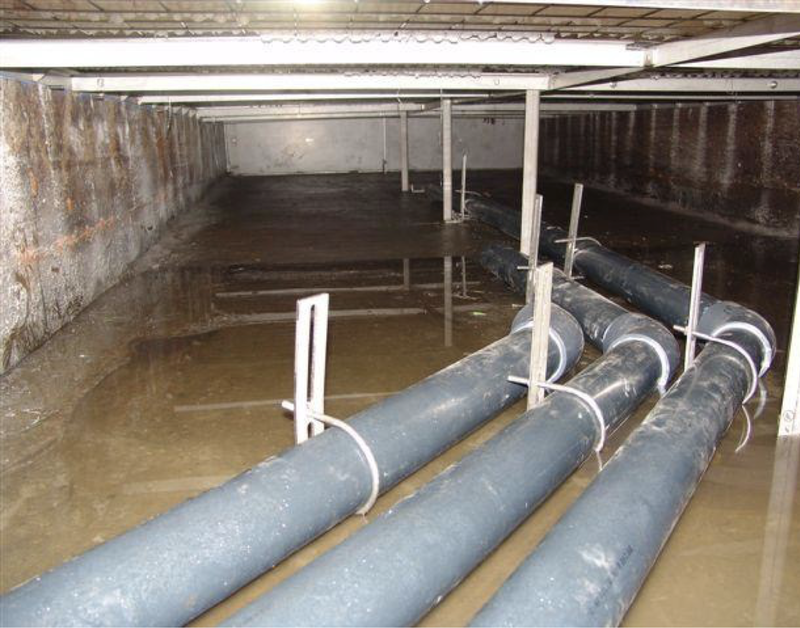 It should be noted that regular monitoring of these structures, with regular visual inspections and sludge height measurements, is the key to a successful, cost-effective operation, with efficient structures. The rehabilitation study for Ile d'Epine and Les Sablons basins made it possible to obtain a custom-made solution adapted to the configuration of each basin. 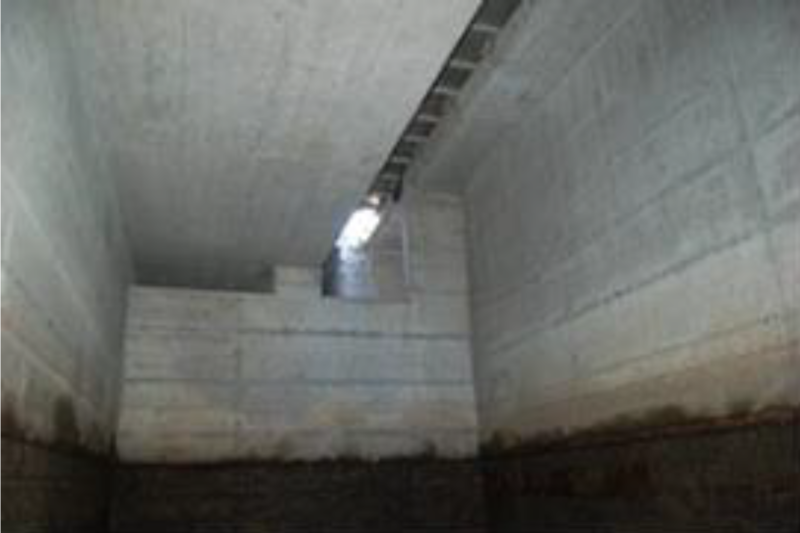 The equipment of these basins has been optimised with a superficial hydraulic load of less than 3 m/h. The basins were equipped in 2012. After 2 years of operation, the structures were emptied and samples were taken. The analyses put forward a very small particle size for the Ile d'Epine basin (d50 = 19.2 μm), which indicates a good efficiency of the lamellar settling system. The development of civil engineering structures makes it possible to use the already existing infrastructures, while significantly improving their performance. The cost/performance ratio is then optimal. This work and the monitoring carried out have allowed us to explore new development axes, in order to further facilitate the operation and maintenance of these underground structures. Many concrete structures in operation for several decades are present on the rainwater networks. These structures no longer meet current standards and are obsolete. With the technology we offer, these structures, in some cases, can be rehabilitated to meet the new requirements. Depending on the hydraulic and geological characteristics, a technical proposal will be sent to you to meet the discharge standards. In many cases, counter-current lamellar settling on lamellar structure is used. 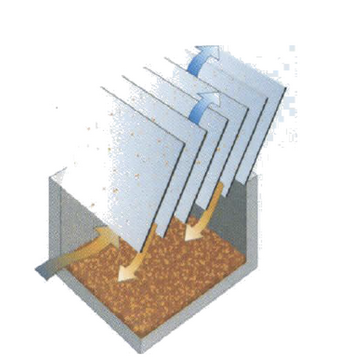 This process ensures a perfectly controlled settling thanks to a perfectly laminar flow. 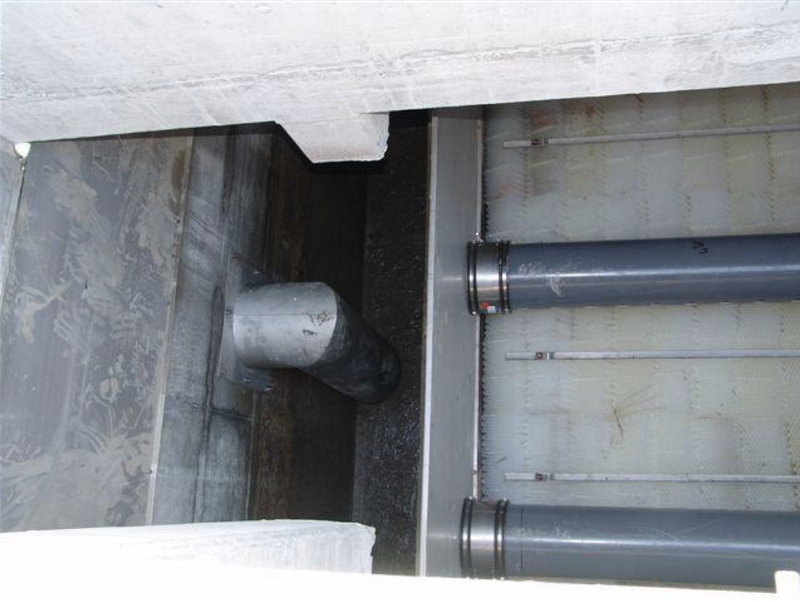 The sludge is trapped on the undersides of the honeycomb structures, and slides naturally to the sludge silos beneath the lamellar structures. A siphon located downstream of the structure allows the retention of light hydrocarbons. 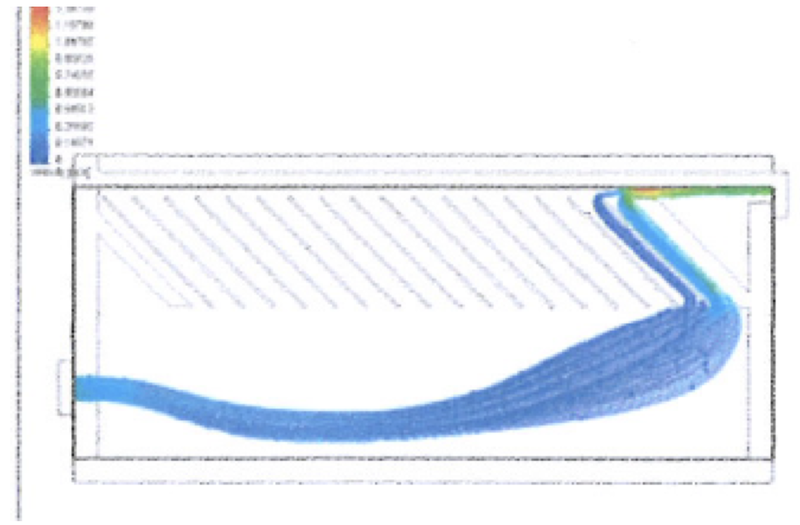 The figures below represent a concrete structure rehabilitated with the "counter-current lamellar settling” technology. The watershed size was 4.5 ha with a traffic area of around 20'000 vehicles/day. The expected treatment rate is 254 l/s. The images below represent real projects.